Oklahoma Connection | McVean came to Oklahoma as a lawyer in 1903. At the time of her death in 1938, Margaret McVean was the oldest practicing woman attorney in Oklahoma City and considered the first woman attorney of Oklahoma. 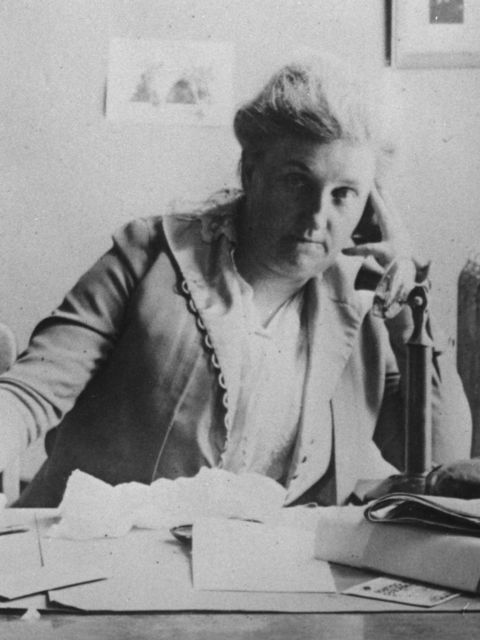 Margaret McVean was born in Kentucky and was a public school teacher before she graduated from the University of Michigan and received her law degree in 1902. She came to Oklahoma in 1903 and was admitted to practice in the Territorial and State courts and specialized in title and corporate law matters. In one of her last and most historic cases, she settled the tangled estate of Colonel Zach Miller, former owner of the 101 Ranch near Ponca City.